Observation - IMGP0982 - UK and Ireland. 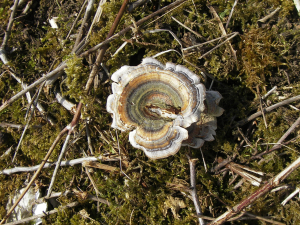 Description: Hard fungus approx 7cm across with concentric circles of colour. Hard fungus approx 7cm across with concentric circles of colour.